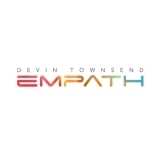 Approaching the new Devin Townsend album with none of the preconceptions or expectations that clouded my experience of 2011's Deconstruction, and with enough time and distance from the Epicloud to Transcendence run that I didn't love but appreciated as up to his usual solid standard, it's something of a nice surprise to be completely and utterly blown away by Empath. The eighteenth full-length from the mad Canadian is an album that mixes elements of past releases together very well indeed to create something utterly sublime. It's easily his best album in a long time, beating the excellent Addicted and measuring up to my personal favourite of his catalogue, 1998's Infinity; Empath is a damn, damn good album, and although I need some time and space with it to really decide where it belongs in the rankings, without a doubt it's one of the best albums I've heard in a long time. It even has a pristine production that allows the subtleties in the mix to be heard, far away from the usual brickwall. Describing Devin Townsend's music to those new to it is always a challenge, taking elements of prog rock and metal and throwing in everything from orchestras to pop to jazz to avant-garde nonsense, and bundling it all up in an often maddeningly catchy package all about feelings and the human experience. It's overindulgent as hell of course, but that's what fans like, and it usually has interesting results! His entire career can be summed up like this, from the outright insane rage of Strapping Young Lad all the way through to silly happiness - obviously which you prefer depends on you, and it probably says a lot about me that I prefer the earlier, angrier Devin to the later puppet-shows and lullabies. Yet Empath has completely won me over with its life-affirming focus to the point where elements that I would normally sneer at like island music (Castaway) and bedtime stories (Sprite) oddly work in context and make it all seem profound instead of insipid or tiresome. The mixture of styles is ridiculous, from the closest thing he's done to Strapping Young Lad-esque overkill in years in Hear Me to choral anti-suicide anthem Spirits Will Collide to orchestral theatricality in Why? And all are fantastic, with a guestlist that includes everyone from Beneath the Massacre vocalist Elliot Desgagnés to Nickleback's Chad Kroeger (who barely stands out, before you have the same reaction I did to finding that out!) to Steve Vai and Anneke van Giersbergen. Yet as ever, the focus is on Devy himself and listening to the album is like taking a look inside his head, as each release of his does, checking in on a man who has struggled with life and himself and come out the stronger for it. A documentary released about it shows Dev's ideas about duality in nature and people, light and dark co-existing, and you can hear this in the album, particularly on the twenty-three minute epic finale Singularity. It's not just about the mixture of heavy and light sounds, but in the interplay between them, the psychedelic chill of the guitars (both acoustic and electric) the various vocals from Devin's typical harsh/clean mix to a female choir. All are good on their own but what makes this album so transcendentally good is the combination of both for a style that's utterly unique. And Singularity itself is tremendous, particularly the building proggy first section that leads to a pounding death metal blast, the call-and-response "war!" section, not to mention the bit where Devin is humming atop percussion and a background radio interview about killer robots! Despite its length it's a delight to listen to, as is the album as a whole. First single and first track proper on the album Genesis contains one of the best choruses Devin has ever written and as with every other piece on the album the sheer variety makes listening fun and never dull. In the documentary Devy concludes that the message of the album and the goal of existence is "love, and be loved" (it's printed inside the album packaging) and both in music and impact this album more than delivers on that. Where some of the darker material that I have written about lately has a hatred or fear of the listener, Empath is the complete opposite. 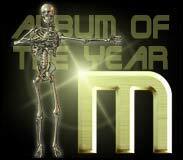 It's as warm, and plain nice an album as it is possible to make in metal, and without a doubt will remain on my playlist for a long, long time. The deluxe edition of the album comes with an entire second CD titled Tests of Manhood with another ten original songs, and while slightly more straightforward than the main album's material they are, of course, excellent, and could easily have a second review written about them. Empath is the main attraction here, however, a truly wonderful album and a must-listen. Some albums are good because they make an impact immediately, some are good because they reward the time put in with them and they grow on you, some don't really appeal but you can still appreciate their good points. Falling in love with a person or an album is similar in that time spent with them ignites that cold dark corner of your soul in a happy, content little flame and you forget your troubles and everything is, however briefly, perfect. Few albums (or people!) have that effect on me yet discovering one is always about as good as life can get, and Empath joins the limited few.